The Imperial War Museum is based at the wartime airfield at Duxford and situated on the other side of the M11 just a few minutes drive away from our hotel. The collection of aircraft is the biggest in Europe and will take you a whole day to see. The Imperial War Museum is open all year round, with the exception of 24th, 25th, & 26th December but the highlights of the year are their now world famous air days. Why not come along and have lunch at the Hotel or in the grounds and watch the aeroplanes of yesteryear perform. Booking essential. For more information on The Imperial War Museum, Duxford, please see: http://duxford.iwm.org.uk Interested in the Vulcan? Avro Vulcan XH558 is the world's ONLY flying example of one of Britain's finest iconic aircraft, the Vulcan Bomber. It is equal in popularity to the Spitfire, Hurricane and Lancaster but, whilst examples of the latter three are kept flying by the RAF in the Battle of Britain Memorial Flight, it is only the generosity of ordinary people which keeps the Vulcan in the air. Visit www.VulcantotheSky.org and check when this plane can next be viewed at a Duxford display and how you can help ensure it continues to fly to amaze future generations. This beautiful city really does deserve more than one day. To take full advantage of its treasures, you can organise guided tours or book a trip on an open-top bus. Your ticket allows you to break your tour at the many interesting places and viewpoints ... such as the Mathematical Bridge which you see here. From here you can hire a punt (or take a punt trip) on the River Cam which provides interesting views of Cambridge. If history isn't one of your subjects, then a little retail therapy may be and there is ample opportunity of treating yourself in the main shopping area and in the Grafton Centre undercover shopping area. Cambridge also boasts two wonderful theatres - The Arts Theatre and The Corn Exchange, both offering a whole host of famous names in many varied shows. A trip around the Backs to view these beautifully presented colleges is an absolute must. If you are attending a Graduation, we are able to offer a taxi from the Hotel to the College and the return trip to enable you to celebrate in style in our private dining room or a table in our two-rosette Le Paradis Restaurant to make your special evening complete. 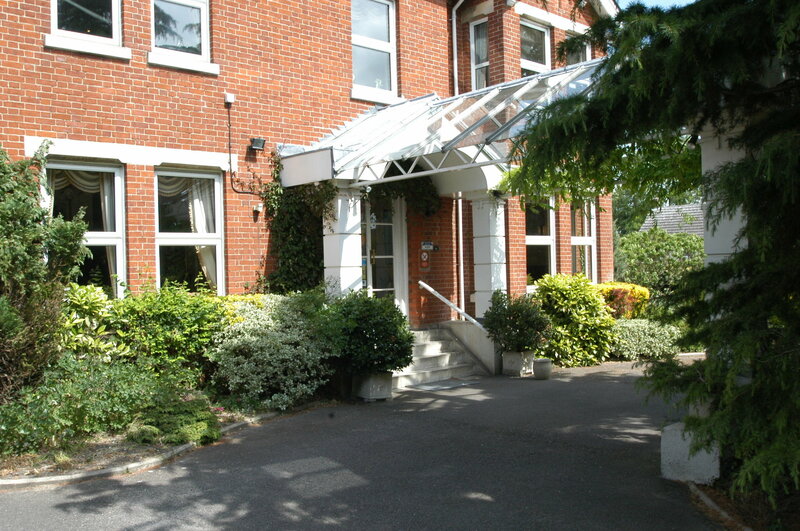 Duxford Lodge Hotel was built in the early part of the 1900s as a private house and still retains much of its grandeur. Located in the Cambridgeshire village of Duxford, this fine country house hotel offers ideal accommodation for visitors to Cambridge, Cambridge University, Newmarket, Thaxted, Saffron Walden, the Imperial War Museum (Duxford Air Museum) and is convenient for Stansted Airport. 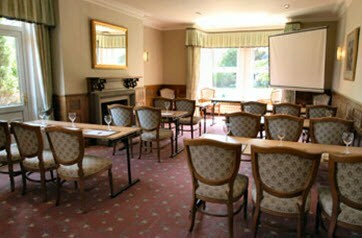 Duxford Lodge can provide a choice of three main rooms which can be adapted to suit the style of your meeting or conference. Cancellation of Meeting Rooms We reserve the right to charge the room hire quoted for any booking cancelled within 7 (seven) full working days of the confirmed date unless we can re-sell the room.